MARK A. KAHRS} A fourth-generation Kansan, Mark A. Kahrs is the grandson of a lawyer and the son of a small business owner. Growing up, he saw the effect of unpaid debts on small businesses – as well as the law’s power to bring a just conclusion. After graduation from Wichita's East High School, Mark earned a BA in Business Management from Wichita State University. He earned Dean’s Honors from the Washburn University School of Law, served as Associate Editor of the school’s law journal, and in 1991 graduated with a Juris Doctorate degree. 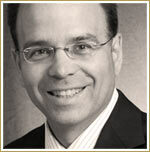 Mark practiced law for three years before forming his own firm, Kahrs Law Offices, P.A. His emphasis is retail and commercial collections, creditor law, and civil litigation. He has a BV rating with Martindale-Hubbell Law Directory. Mark served as President of the Wichita Creditor Attorney Association from 2009 - 2014. He is active with the Kansas Creditor Attorney Association and has provided continuing legal education classes in the areas of Kansas creditor and collection law. Mark previously served in the Kansas State House of Representatives where he served from 2013-2017. During his time in the Kansas Legislature he served as chairman of the House Elections Committee and served on the House Appropriations Committee and House Judiciary Committee. Mark currently serves on the Republican National Committee as the Kansas National Committeeman.